Younger generation is hooked on to Instagram. They simply can’t get enough of it. Instead of just posting photos and videos for friends you can use this platform to make some money. If you are smart enough then you can use Instagram to make money while having fun uploading your photos and videos. To know how you can make money with it keep reading this article. Why Instagram? Who All Should Use it or Who Should Not? Right now Instagram is more popular than Facebook, Twitter and even YouTube among younger generation. Younger people especially teenagers are addicted to instagram. If you can’t upload long videos on YouTube, write posts on Facebook and tweet on twitter then Instagram is for you. But having said this Instagram is not for everybody. If you have an extrovert personality and love coming on to camera then you can make money on Instagram. Instagram is very graphic medium and it hasn’t to do anything with written content. You don’t have to write content here because you yourself are the content. If you are shy and can’t face the camera then instagram is not for you. As I said Instagram is for younger generation like boys and girls from 16 years old to 23 Years old. Making money online is all about either selling products or advertising. Whichever way you choose you will make money through these two ways only. However methods you choose to make money are different. For example affiliate marketing through a blog/website is certainly different then affiliate marketing through Instagram. In the former case you write well researched content and focus on writing good stuff however in the later one the content you create are photos and videos. In other words writing requires more intellect compared to taking photos and posing in front of a camera. In both cases you need different kinds of talent. To cut it short Instagram is all about getting eyeballs. Moreover your target audience is also going to be different. In Instagram you will mainly target teenagers. This also means products that you are going to promote are also going to be different. Before I tell you different ways to make money with Instagram you must have certain prerequisites. 1. Start Working with Your Camera: You have to learn using your camera. Instagram is all about working with camera. You will be posting photos and videos on your account. So learn using your camera in a more professional manner. 2. Posting Stylish Photos and Videos: It is all about getting eyeballs. You must post stylish photos to get more followers. Your inner talent must come out while you are posting images on your account. How you pose, lighting, make up everything matters here. 3. Creating Relevant Hashtags: In order to attract right kind of followers you have to use hashtags. Suppose you are promoting a product about weight loss then use relevant hashtags so that people can relate to it. 4. Build a Follower Base of At Least 5000 People: Finally you have to have at least 5000 followers before you think of selling products and making money with instagram. Do all the right things and get 5000 followers. 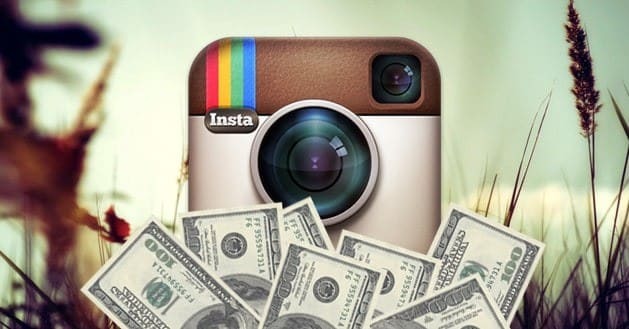 Now you can start making money with Instagram. Here are 4 ways you can do it. The best way to begin with is selling photos. You don’t have to be a professional photographer for selling photos. You have to take great photos with different cameras and start selling them to individuals or agencies online. You can create a store and link the images to the store page. Add watermark to your photos and use captions for selling details. Use appropriate hashtags to get relevant people coming to your account. You already know about affiliate marketing. Here you sell a product using your account. You promote a product and get paid for every sale you make. You choose a product that is close to your photos you post on your instagram account. For example your photo highlights your face and make up. So obviously you are going to promote beauty products like cosmetics and related items. If photo shows your body with six pack abs then you can promote a weight loss or other fitness products. You can also sell your own products if you have one. You can promote your business using Instagram account. You can create a landing or sales page if you like. You can use your branding power and promote a product on your behalf. Your posts will have captions that might include branded hashtags and links. You will show your followers that how this particularly product has changed your life and sell it to them. The product you promote being an ambassador must fit your own image. Tap Influence is a great website if you are looking for sponsored content. Finally if your account has over 10,000 quality followers and it is doing great you can sell the account. This will be your last option because you don’t want to continue any longer. Use websites like Viral Accounts and FameSwap to sell your Instagram account. Here are few tips how you can make more money with Instagram account. Learn using different cameras. Your photos must be perfect so they get more eyeballs. Create a right kind of bio or profile. Use relevant hashtags to attract targeted audience. You also have to engage your followers in a conversation. Promote right kind of product. Creating videos are very important. So these were tips to increase your followers and sales.